The importance of women to an economy has been increasingly recognized and acknowledged over the last quarter century. Raising female literacy has become an important goal of international aid organizations, because no factor is more important in decreasing both infant mortality and birthrates than female literacy. Indeed, various studies demonstrate a strong inverse relationship between levels of female education and poverty. More recently, development and aid programs have shifted their focus from grants to governments and male dominated organizations to micro-credits to women. When applied to Ancient Greece, of course, the modern approach to development appears fatally flawed. No one can seriously argue that Athens was “under-developed” or that it was poor – by the standards of its time. To be sure, by modern standards based on factors such as literacy, infant mortality, and longevity, not to mention per capita income and income distribution, Athens would have been rated an undeveloped or “less developed” country. Yet by ancient measures of wealth, Athens was comparatively well off – even if, as Thucydides argued, the monuments it built with tribute money from its subject cities created the impression of a city twice as rich and powerful as it “really” was. On this point, however, I take issue with Thucydides: any city that can force other cities to pay for a monumental building program in a distant metropolis deserves to be seen as a great power. Thucydides was, however, trying to make another point: that monuments alone do not constitute power -- a point he underlined by saying later generations would underestimate Spartan power, if they judged it on the basis of its monuments. And it is when we look at Spartan power that we need to reconsider the importance of women to ancient economies. Sparta, like Athens, was a recognized power in the ancient world. From at least the 6th century to the early 4th century BC, it was one of Greece’s “leading” states. It had a large alliance system and eventually broke the back of Athens’ empire, and it briefly dominated the Greek world. Based on the amount territory controlled, Lacedaemon had a strong economic base from which to develop its power. It had sufficient rainfall, fertile river valleys, and several natural harbors. It had natural resources, though neither gold nor silver, and it had timber for building ships, marble for monuments, and a benign climate. In short, it had all the objective criteria necessary for becoming a powerful state – except manpower. That is to say, if we consider only the Spartiates, then Lacedaemon reached its pinnacle of projected power (not necessarily its greatest moment!) at a period of time when the Spartiate population was tiny – less than two thousand men. And if we accept the prevailing view that the Spartiates were unpopular oppressors of their own population and their allies, much less their enemies, then this is an even more remarkable achievement. 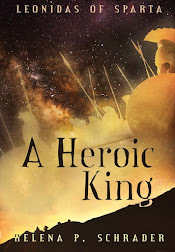 How could 2,000 men – regardless of how well drilled and physically fit – control a hostile domestic population more than ten times as strong, and all the allies in the Peloponnesian League – and still manage to defeat a great empire like Athens'? 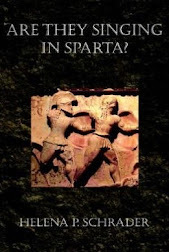 Obviously, one answer is that Sparta’s subject classes, perioikoi and helot, and Sparta’s allies were not as hostile to Spartan leadership as is popularly assumed. (A thesis readers of this blog will find familiar!) Another answer is that Spartan women played a significant role in the Spartan economy, effectively doubling the size of the ruling class. Both, I believe, are true, but today I want to focus on the role of Spartan women. The ideal Athenian woman “knew as little as possible” and was neither seen nor heard. Her job was to go a virgin bride of 12 or 13 to the house of a citizen and then (despite being still a child) produce as many children as her husband wanted (but let him kill as many of her children as he wanted) until she died. Oh, and she was allowed to rule over the slaves and her husband’s concubines as long as she didn’t set foot outside the house, show her face even in the doorway, and never expressed an opinion on anything. Xenophon, a liberal strongly influenced by contact with Sparta, thought it was advantageous for women to learn to read and calculate a little so they could manage their husband’s household better, but the more common opinion was expressed by Meander that teaching women to read was like giving more poison to an already horrible snake. As Aristotle makes clear, many leading Athenian men would have been much happier, if there had been no need for women at all. Women being the source of all evil, only a society without any women at all could be a real utopia. Real Athenian society and real Athenian woman obviously did not live up to this ideal. Poorer women had to work just to survive and to help their husbands in their shops and workshops. Not all Athenian women had the “privilege” of being locked up in the dark, stuffy, cramped rooms at the back of an Athenian house for their entire life. Women did step outside their house – at least for weddings, funerals and religious festivals. They probably even opened their mouths and said things, though that is hard to prove. But whichever way one looks at it, Athenian women made no contribution to Athenian economic, intellectual or military power. In Sparta, in contrast, women were from birth onwards better treated than their sisters in Athens. They were fed the same food as their brothers, attended the public school, and engaged in sport so that they grew up strong and healthy. Most important, they were not forced into marriage when still immature, and so not subjected to the trauma of childbirth until they were 18 or older, something modern medicine considers vital to female health. In consequence, Spartan women would have been healthier throughout their lives and lived longer than Athenian women. This would have had the important and often overlooked consequence that there must have been many more grandmothers in Sparta than in Athens! This is more than anecdotally significant. Recent studies suggest that older, infertile females play a significant role in the survival of young in very primitive societies. We should not dismiss the notion that in Ancient Greece too they could have played a significant role in child-rearing and household management – if they had been there. In fact, however, there probably weren’t very many grandmothers in Greek cities other than Sparta because girls married and died very young. Equally important is the fact that, Spartan women were educated in the public agoge. We have no historical record of what they learned there and if you assume even Spartan males received little training in literacy, than neither did the girls. But the notion that Spartiates were largely or only marginally literate has been effectively debunked by various scholars (see particularly Ellen Millender, “Spartan Literacy Revisited, Classical Antiquity, Vol. 20 ) and it is more reasonable to assume that Spartan girls, like their brothers, left the agoge with functional literacy and numeracy. This is where modern evidence from the developing world suggests that such women were much more competent in the economy than women who lacked literacy and numeracy. In short, Spartan women were in a position to actually conduct economic transactions for their husbands. Allegedly, Spartiate women dominated the agora (where bachelors were not supposed to be seen at all), and this again reinforces the image of women who were cable of conducting business. 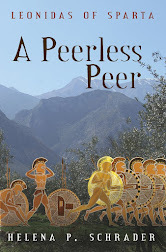 Could such economically savvy women have contributed to Sparta’s ability to project its power? Could, for example, Sparta afford to send harmosts, generals and admirals overseas because they had competent administrators in their women? Did female management of Spartiate kleros and other estates ensure that Spartiates had the economic resources necessary to remain professional soldiers and provide administrators for an imperial power? 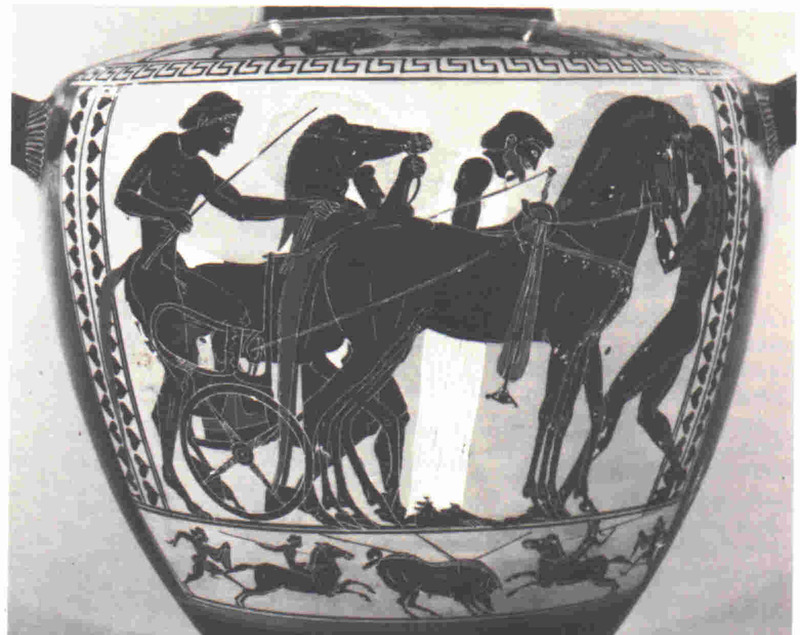 Did Spartiate women not only manage kleros, but administer tax collection, customs and other economic functions inside Lacedaemon? Probably not, or Aristotle would have mentioned it. Nevertheless, in light of modern experience, we need to reassess the role of Sparta’s better educated, healthier and longer-living women. 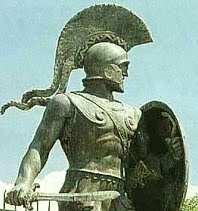 We should ask whether they didn’t contribute much more to Sparta’s power and status than just the soldiers they bore in childbed. NOTE: I will be on holiday in Kythera the rest of this month, and the next blog entry will be posted in early May. Καλη Εβδομαδα! Hughes bills her book as “The Story Behind the Most Beautiful Woman in the World” – which is certainly ambitious. She devotes 312 pages to the main text followed by 130 pages of appendices. The book contains roughly 30 colored illustrations and even more black and white images -- altogether a very impressive and comprehensive treatment of the topic. 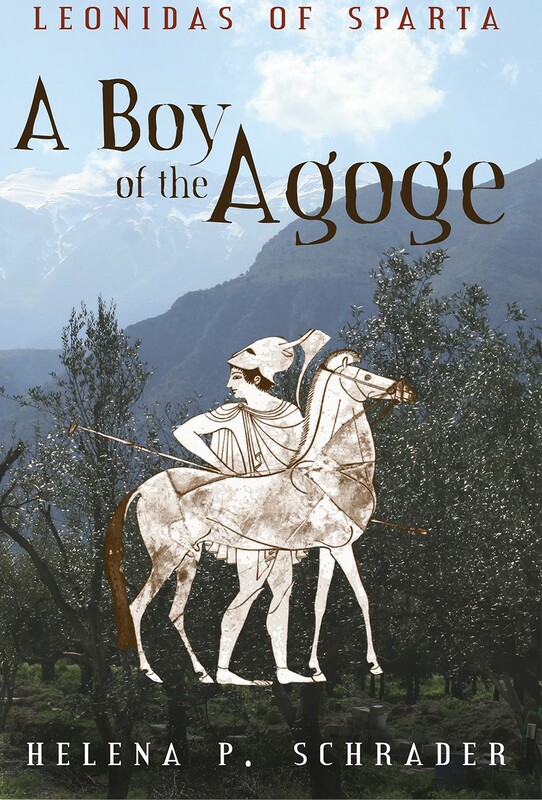 Hughes furthermore sets out not only to try to discover the historical reality behind the story of Helen of Troy, but to describe the Bronze Age in which she allegedly lived, and then to describe how the story of Helen of Troy was handled in literature and art down the ages from Homer onwards. Although at times I found the narrative long-winded and had the feeling Hughes was trying to justify what must have been a significant investment in time and money by dragging out some commentary unnecessarily and belaboring some points to the point of exhaustion, the book nevertheless provides some very useful information. Particularly impressive was the amount of information she collected on life in the Bronze Age, something I knew little about. 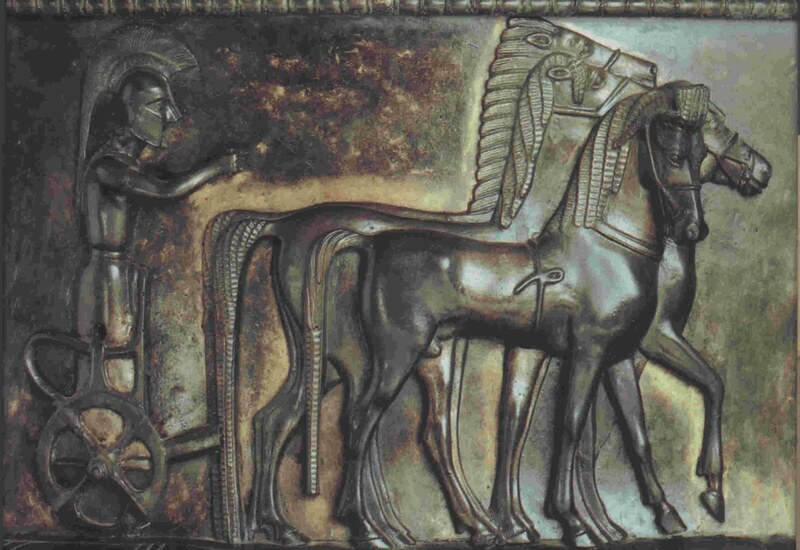 One of her principle thesis is that Helen (or the Helen Pro-type) was a Bronze Age aristocrat (princess and Queen) – and every subsequent treatment of Helen tells us more about the age in which the work of art depicting her was created than about Helen herself. Less successfully, Hughes tries to analyze why the story of Helen of Troy should have fascinated artists and audiences for three thousand years. 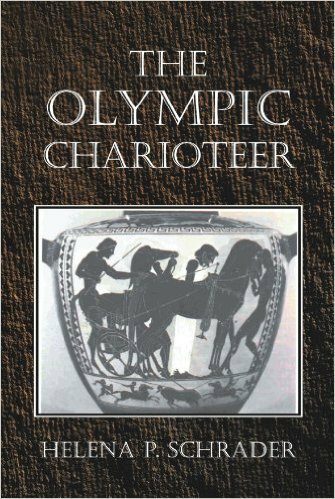 Perhaps due to my ignorance of the Bronze Age, I found Hughes descriptions of recent archeological discoveries about this period particularly exciting and informative. She succeeded in convincing me that the Bronze Age civilizations were very sophisticated and international, with significant trade across the Mediterranean. A recent trip to Egypt helped me visualize just how rich and yet familiar such ancient societies could be. The art of Minoa and Egypt, with which I am more familiar, provided collateral, flanking evidence, to Hughes’ thesis about a Bronze Age Helen, who was more powerful and independent than the women in ancient Greece. In short, Hughes succeeded in making me change my own views of Helen, by enabling me to see her as a figure from a pre-archaic society with significantly different social structures and traditions. Almost as fascinating was the way in which the character and role of Helen changed depending on the values of the society re-telling the story. For example, the fact that Helen received a comparatively positive treatment in the 12th Century AD due to Eleanor of Aquitaine's the patronage of Benoit de Sainte-Maure, author of the Roman de Troie. As Hughes perceptively points out, Eleanor, like Helen, had been the bride of one king, but effectively – if less surreptitiously -- ran away with his arch-rival and became the Queen of the empire that most threatened her first husband’s realm. Eleanor had good reason to see Helen as a positive role model and not some tawdry whore or instrument of the devil. As such, despite its stylistic faults, I think Hughes work makes a significant contribution to our understanding both of the historical and the literary Helen.